EUGENE BROSNAN grew up in the rural/industrial town of Millstreet in County Cork.His mother, possessing a beautiful singing voice was well known in the locality for herchoir work and her participation in many musicals. His father, though not a performer had a love of music and introduced the young boy to Bob Dylan and Johnny Cash, to this day huge influences on his music. Though geographically close to the traditional music stronghold of Sliabh Luachra, this brand of music did not rub off on the young musician. Instead, large doses of Rory Gallagher, Thin Lizzy and other pop rock and punk music were administered. Under these influences Brosnan left his native Ireland at the age of 18, guitar in tow and took to the streets, pubs and café bars of various towns and cities throughout Europe where he developed on his musical style by busking and gigging. In 1996 Eugene released his debut CD, "Well he said he'd be here!" to critical acclaim. Songs like Darwin Sound and I Can't Imagine marking him out as a very promising and creative young songwriter. In 2000, "Frames of Mind", his second album of self penned material came out on his own label and brought him much deserved recognition in Ireland where he also began to gig regularly as part of a new breed of acoustic/folk singer songwriters. Throughout the years of constant touring, covers always played a vital part of his live set and on the suggestion of producer/engineer Chris Hermann that he put some of these on record, his third solo project, SOLID GROUND, got under way. Songs from Dylan, Warren Zevon and Springsteen sat alongside some of his own compositions and did not feel out of place among, "the headless thompson gunners" and "the ghosts of poets and hoboes" that inhabit the soundscape of this very real and atmospheric recording. The positivity of the reviews from national press and on line magazines for "SOLID GROUND" are helping to bring Eugene's music to a much wider audience, both at home in Ireland and in Europe. 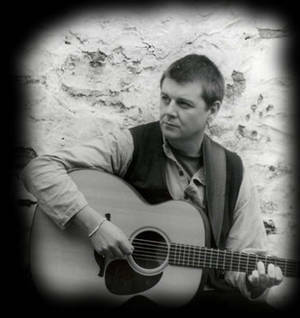 "SOLID GROUND shows off Brosnan's exquisite vocals, a timeless piece of Irish acoustic folk"
"Brosnan's strength lies in his songwriting, a succinct and canny storyteller"
Along with the albums and the countless gigs and tours, Eugene has had positive nods of approval from such luminaries as Guy Clark, Nikki Sudden, Men At Work's Colin Hay, the 60s icon Donovan and the late great Noel Redding (Jimi Hendrix Experience). Eugene Brosnan will tour Germany in October 2007.